“The Subconscious Diet” Can Help You Get Rid Of Negative Habits! How could a diet possible help change a habit pattern that has been causing grief for years? It is because the Subconscious Diet: It’s not what you put in your mouth; it is what you put in your mind! looks at all the factors that cause weight gain or the failure to achieve any other goal. A diet is nothing more that a goal. Most excess weight is caused by bad habits, habits of Anger, Fear, Hate, and Stress. All emotions are habits, all habits are thoughts and all thoughts can be changed, if a person wants to change them. What is needed is a process, a step by step method that can correct negative thinking, replace un-helpful emotions and improve a person’s outlook on life in general. This is not hypnosis. 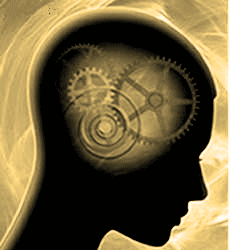 Hypnosis implies external control but what is vital to the change of any habit is a system of internal control. To change a habitudinal way of doing things, it must not only be a personal decision but the method must be understood by the person who wants to change. Clearly stating our goals (weight loss or change is a goal). The reason that many people have difficultly making changes or keeping resolutions is that they are just too tired. These emotions of anger, fear and the others are energy thieves. Change is energy intensive, if your supply of mental energy is being drained by these habits, any change is going to be very difficult. One of the biggest complaints of modern society is about the pervasive tiredness that affects many people today. The most important thing you must accept is that you are a being of power! You do have the ability to make decisions and to carry them out. It makes no difference how many times you may have seemed to fail in the past. The past really has no bearing on what will happen today except for the power you give it. YOU can choose to use your power to enable the past to affect today or you can refuse to grant the past any power or reality. It has always been your choice. Make a choice to succeed, make a plan, then as the ad says: Just Do It! It doesn’t take years of analysis – it doesn’t even really matter why you have developed negative habits. We all like to play the WHY game but it is not important, except to the extent that you allow yourself to think it is. You have the power to stop thinking about any subject and move on to positive thoughts and actions. Since the mind can hold only one though at a time, write out affirmations to move you in the direction you want to go and repeat them when you feel the urge to indulge yourself in a negative habit. An affirmation is a statement of a condition you want to have, stated in the present tense, as if you already possessed that trait. Affirmations are used to condition your subconscious mind to receive every good thing the universe has to offer. Contrary to any experience you may have suffered through in the past, the universe is ready to provide you with any beneficial condition you are will to work for. Once you know what you want, do what every athlete, salesperson and any successful person has always done. Visualize your dream. See yourself very clearly in your mind living with the positive habits that may have eluded you to this point. No, it is not easy to start a new way of thinking and acting, you will have relapses and negative thoughts will slip in to your mind. But it is just like the old saying goes: Practice makes perfect. If you are consistent with your new plans and new thoughts, they will develop into new habits, the habits that you want and that will make your life and the lives of everyone who loves you or could love you come as close as possible to perfection. You do have the power and you can use it.